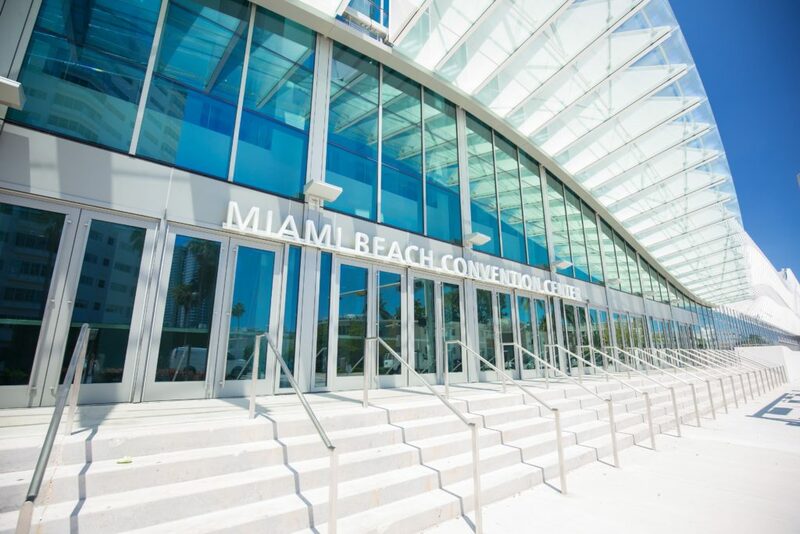 Miami Beach, Florida, October 30, 2018, Broadband data connections on an entirely scalable network are now possible at the Miami Beach Convention Center thanks to Smart City Networks in conjunction with Hotwire Communications. This downtown destination for conferences, expos, and large-scale events has upgraded their existing network infrastructure and technology to provide a secure, fully redundant fiber optic system capable of data speeds greater than 10 gigabits per second (Gbps) from multiple diverse paths. Scalable up to 100 Gbps, the recently completed network will allow guests and exhibitors of the Miami Beach Convention Center to experience and share data-driven exhibits and booths. The benefits of a robust Internet service means the high volume of users during major events and conferences will not inhibit a single user’s experience. And with multiple self-healing fiber rings and established wireless links using Airfiber, the likelihood of a service outage decreases drastically letting visitors browse confidently and giving exhibitors limitless possibilities to present their products or ideas. High bandwidth, redundancy, and efficiency were all at the forefront of the network design. Uplinks are capable of up to 20 gigabits at each edge switch, with a failover of 10 gigabits, ensuring stable and reliable connections regardless of user activity. Designed with redundant pathways into the facility, Hotwire Communications built-in Internet circuit redundancy, including secondary circuits, to ensure network reliability and consistent high volume data transmission. The agreement will also serve as the beginning of an ongoing partnership with Smart City Networks, allowing the fiber optics telecom to work on new projects together, including the 35+ stadiums, convention centers and venues the company manages throughout Hotwire’s footprint. Hotwire Communications, the leader in fiber optic technology, has provided fiber-based telecommunication services since 2002. Headquartered in Ft. Lauderdale, FL with regional offices in Florida, Georgia, North Carolina, and Philadelphia, Hotwire’s footprint currently spans fifteen states and offers a full suite of services to residential, commercial, hospitality, government, and educational customers. Independently ranked by a number of third-party outlets, accolades include PC Magazine’s Fastest ISP of 2017, consecutively ranked the Fastest ISP in the U.S. by Netflix since October 2017, recipient of the National Cable Television Cooperative’s Innovator Award for its concierge-style customer service, and the CableFax Community Service Award for its dedication to local communities. Striving to power the Home of the Future, Hotwire is leading the way by bringing advanced technologies like 4K video and virtual reality into its customer’s homes.